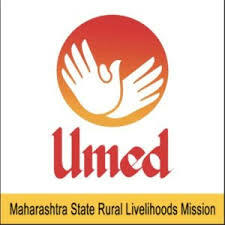 MSRLM Solapur Jobs Recruitment Notification 2018.Maharashtra State Rural Livelihood Mission – MSRLM Solapur inviting applications for the positions of Admin & Account Assistant, Data entry operator, peon and cluster coordinator jobs.Interested and Eligible candidates can apply for the positions. Number of vacancies to be filled in MSRLM Solapur is 59. Degree holders with 3 years post qualification experience can apply for cluster coordinator jobs. HSC/ 10th standard candidates can apply for DEO & Peon jobs. Aspirants must have english typing speed of 40 w.p.m and marathi typing of 30 w.p.m can apply for DEO post. Lower age limit for candidates to apply is 18 years and upper age limit is 38 years as on 18th September 2018. Selected candidates as peon will get Rs.8,000/-, admin & accountant assistant will get Rs.15,000/-, Coordinator & DEO will get Rs.20,500/- as their monthly pay. On basis of candidates performance in written test they will ne hired. Mode of applying for MSRLM recruitment is through online mode. 18th September 2018 is the last date to apply.